Thanks to a tremendous response from supporters, we already have pledges totalling £780 out of the £945 needed to complete the sponsorship of Derek Adams. A big thank you to everyone who has already contributed. If you haven’t already pledged, now is the time to help us make the last push. Every little helps. The details of how to pledge and to make payments are set out below. Could we also ask those who have already made pledges to send their payment as set out below as this is definitely happening! 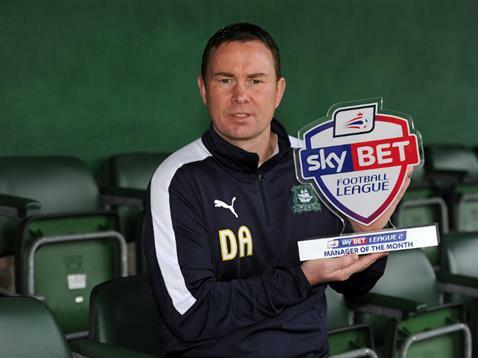 To remind you, all contributors will go in a prize draw to win either a signed and framed Derek Adams top or an invite for 2 to sit with Derek at the sponsors lunch later this season. Also as Derek’s sponsors we look forward to an extra special ‘Meet the Manager’ event this season. Please can you send payments asap and before the end of August as that is the deadline to pay Argyle.